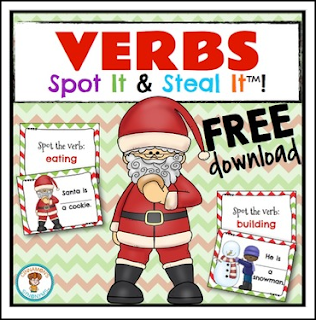 This is an engaging way to teach VERBS! My Spot It and Steal It games keep all players engaged 100% of the time. Once a card is read, all players are on the look-out to see who has the card.. if you SPOT it... you can STEAL it! The player with the most cards at the end of the game, WINS! There is also a worksheet where students can record the past and future tense of each verb. Answer sheet included.